Enjoy the best inspirational, motivational, positive, funny and famous quotes by Andrei Sinyavsky. Use words and picture quotations to push forward and inspire you keep going in life! 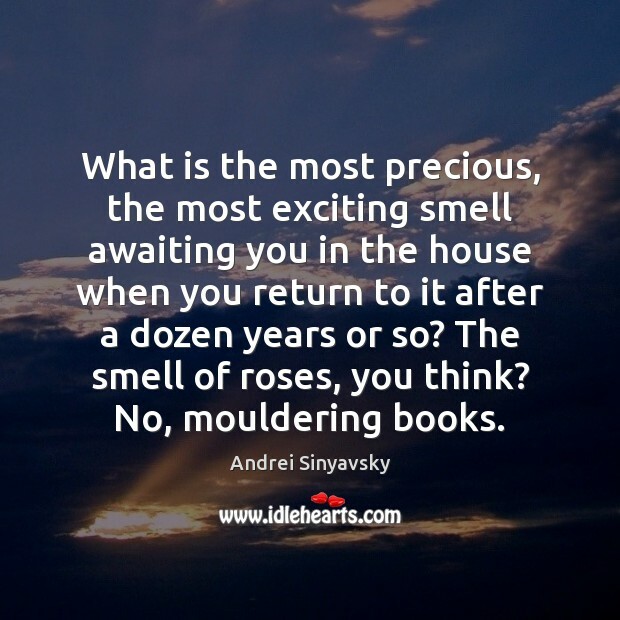 What is the most precious, the most exciting smell awaiting you in the house when you return to it after a dozen years or so? The smell of roses, you think? No, mouldering books. Look, I'm smiling at you, I'm smiling in you, I'm smiling through you. How can I be dead if I breathe in every quiver of your hand?